Police have issued a picture of a man they want to question over the attempted murder of a woman in her car in Hampshire. The 33-year-old victim was stabbed in the neck, chest and stomach in a service road off Gregson Avenue, Gosport, at about 2100 BST on Friday. The woman was taken to hospital where she remains in a critical condition. 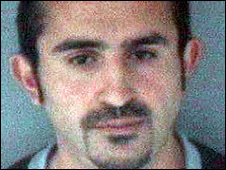 Officers want to question Ozgur Sonmez, 31, from Gosport over the incident, but have urged people not to approach him. Det Insp Justin Norris, of Hampshire police, said: "I would urge anybody who might know the whereabouts of this man to get in touch with us. "We believe he has vital information regarding this incident and if anybody in the community has information on his whereabouts I would urge them to come forward. "I would appeal directly to Ozgur Sonmez to come forward as soon as possible to assist with our inquiries." 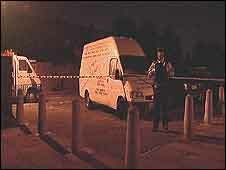 It is understood the attacker fled the scene on foot. The woman, who underwent surgery at the Queen Alexandra Hospital in Portsmouth, is in a stable condition. Det Insp Norris added: "We appreciate that community members may be concerned about getting in touch with the police, but we have provisions in place to protect anybody who can provide information."